FREE TOURS IN COSTA RICA! Did you know you can book free tours in Costa Rica? Probably not, then let me tell you they do exist! and the concept about this type of Tours is actually amazing. What’s a Costa Rica Free Tour? The word ‘free’ has obvious appeal to budget-conscious travelers but it’s also a word that can ring alarm bells; especially in relation to something that traditionally carries with it a relatively substantial cost and makes up a significant part of a particular industry, such as guided tours in Costa Rica. But free doesn’t mean worthless when it comes to free tours in Costa Rica. Quite the contrary. It is by no means the reserve of a strapped backpacker or miserly tourist. It’s a concept which actually can be obliged to deliver more than the traditional paid tour and something which can be truly valuable, worthwhile, and rewarding to all types of travelers. 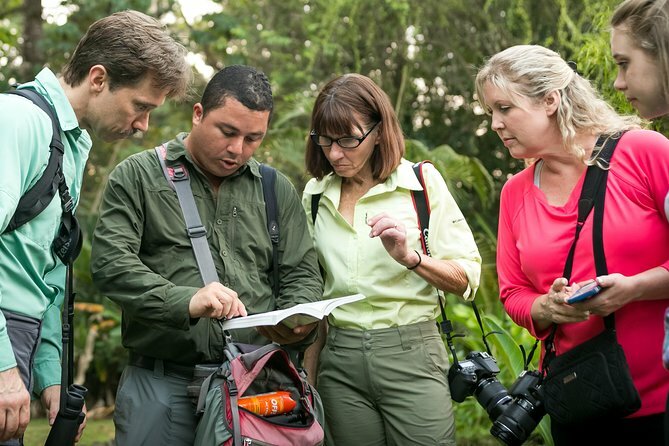 How can this Costa Rica Tours be free? The tours are ‘free’, because unlike regular tour providers’ services, there is no set price for taking a tour, no prescribed fee to pay regardless of the tour experience itself. Instead, you are free to ‘tip’ your guide as you see fit after your tour. As the tour guides don’t receive any other income for giving these tours (from any organizations or local bodies), this means they must really earn their tips. As their income will tend to fluctuate from tour to tour, the guides’ motivation to deliver a top-quality tour is ever-present, meaning far less room for complacency on their part than if they were being paid a set amount for a guided tour. The tour itself must be great for the concept to work. Departing from San Jose City around 8:00 am, this amazing natural attraction is about 1.5 hours Northwest from the capital city at the Volcanic Mountain Range of Alajuela. 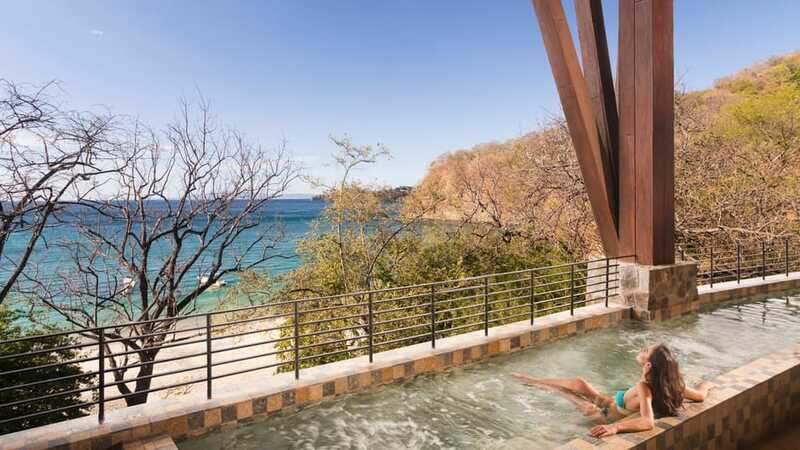 Overlooking the Pacific Ocean and the northwest coastline, Four Seasons Resort Costa Rica makes the most of its position on the Peninsula Papagayo. At this coastal retreat with unparalleled proximity to nature, adventures of every kind are within easy reach. This Costa Rican resort is your launching pad into boundless adventures. At Four Seasons Costa Rica, they believe in recognizing a familiar face, welcoming a new one and treating everyone they meet the way they would want to be treated themselves. The moment you pass through the gates of this private enclave you are greeted with soaring palm trees and enthralling vistas of beckoning blue water—a grand entrance that’s apropos for this magnificent destination. 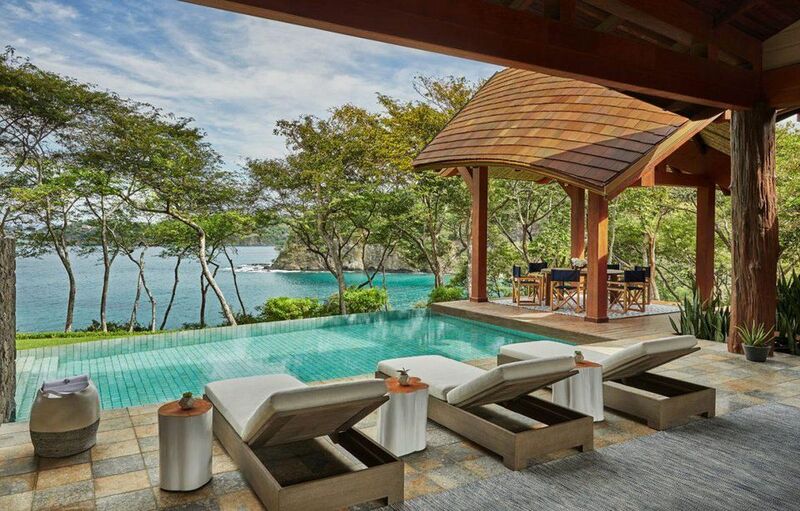 About 10 minutes later down a winding road through an Arnold Palmer–designed golf course and past grand homes of varying architecture, you, at last, reach Four Seasons Resort Costa Rica, the only Forbes five-star hotel in Central America. The resort recently underwent a $35 million renovation that includes 182 reimagined accommodations, a redesigned lobby, four new dining concepts, and an enhanced pool area. The brand has managed to blend the peninsula’s lush tropical landscape with the hotel’s indoor-outdoor spaces. Using a natural color palette, local artisan pieces, and tactile textures, the NYC-based firm managed to capture sun-drenched luxury in an uncontrived fashion. 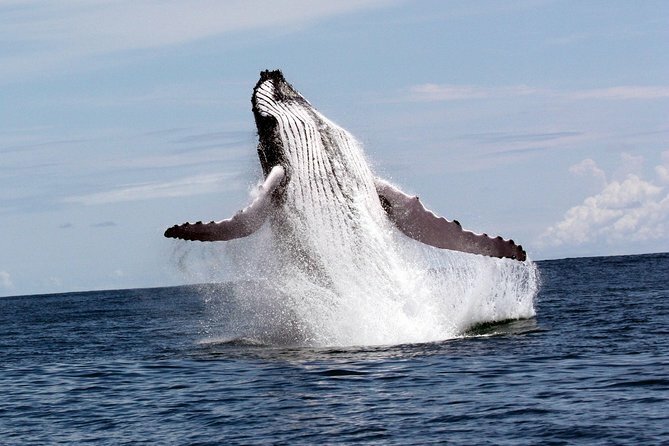 This 2019, from August to October, Costa Rica pacific ocean gets busier with visiting migrating Humpback Whales. The “inner sea” of the Golfo Dulce bay, known as a tropical fjord, on Costa Rica’s southern Pacific Coast, is a critical habitat for Humpback Whales and is key to the species’ survival. Humpback Whales arrive to reproduce and give birth in the warm waters of Costa Rica’s South Pacific Coast, from the Ballena National Marine Park just south of Dominical down to the Golfo Dulce and Golfito Bay. The annual migration of Pacific Humpback Whales is one of the most remarkable journeys by any creature on the planet. The cetaceans travel between 3,000 and 5,000 miles each way, from both the Northern and Southern Hemispheres, making them one of the farthest-migrating animals on Earth. Northern Hemisphere Humpback whales travel from Alaska and British Columbia to Mexico, Hawaii and Central America, for the months of December to March. Southern, Antarctic-based Humpback Whales spend their winter months near Australia and as far north as Costa Rica from June to November. They are most likely to be seen in Costa Rica between August and October. The southern humpback whales are more abundant in the Golfo Dulce, according to research by the CEIC, females swim into the shallow waters of the Gulf’s interior to birth their young and breastfeed them. Males concentrate in the outer area of the Gulf waiting to breed with available females. A large part of the Gulf is used by Humpback whales to rest, give birth to their young, and nurse them for a week until they are able to get out to the Pacific to continue with their migration. Costa Rica Humpback whales are an endangered species with international government-protected status. They are easy to spot since they live at the ocean’s surface, both in the open ocean and in shallow coastline waters. They swim slowly and are known as the “acrobats of the sea” for their aerial antics, which makes them perfect stars for whale-watching tours. Humpback whales also are known for their “songs” – long, varied, complex and beautiful sequences of squeaks, grunts, and other sounds. Only males have been recorded singing and they seem to produce the complex songs only in warm waters – thought by scientists, therefore, to be mating calls. Where you can spot Humpback whales in Costa Rica? 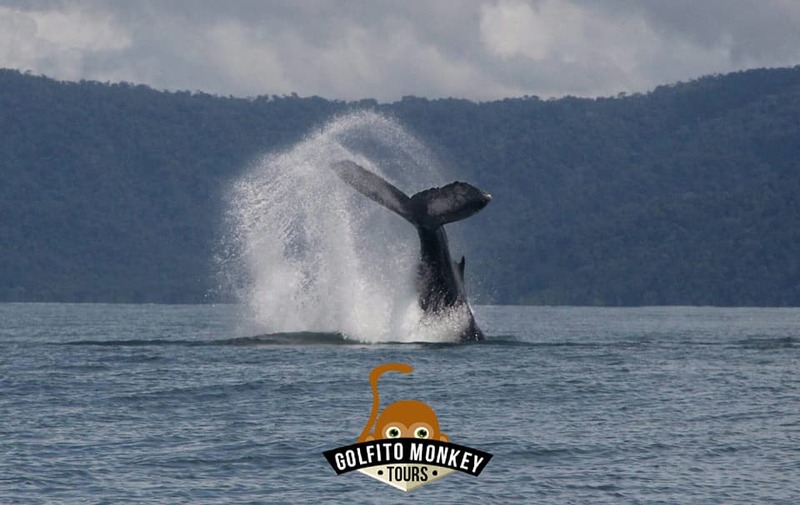 There are many whale watching tours in Drake Bay, Flamingo, Uvita and Manuel Antonio for whale watching. 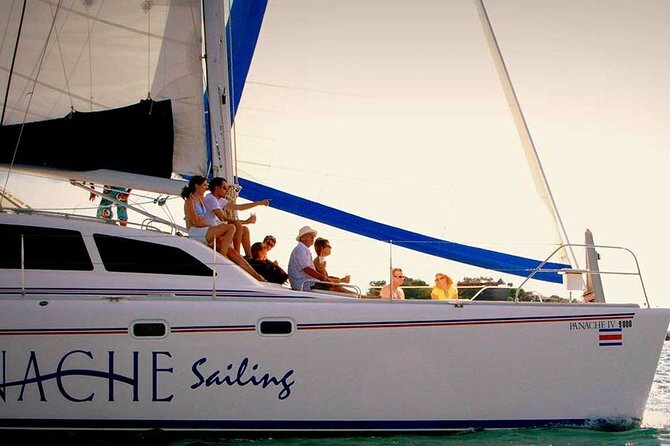 There are several tour companies in Uvita that run specific whale watching tours nearly the entire year. Manuel Antonio is a very popular destination in Costa Rica, is often crowded but is definitely one of my favorite places in Costa Rica! What I personally love the most about Manuel Antonio is the great opportunities to spot wildlife. Last time I went there, I took a Guided Tour to the National Park with my family and we saw 3 different species of monkeys, 1 raccoon, white-nosed coatis, 2 deers, 2 different species of snakes and lots of birds in just 2 hours. 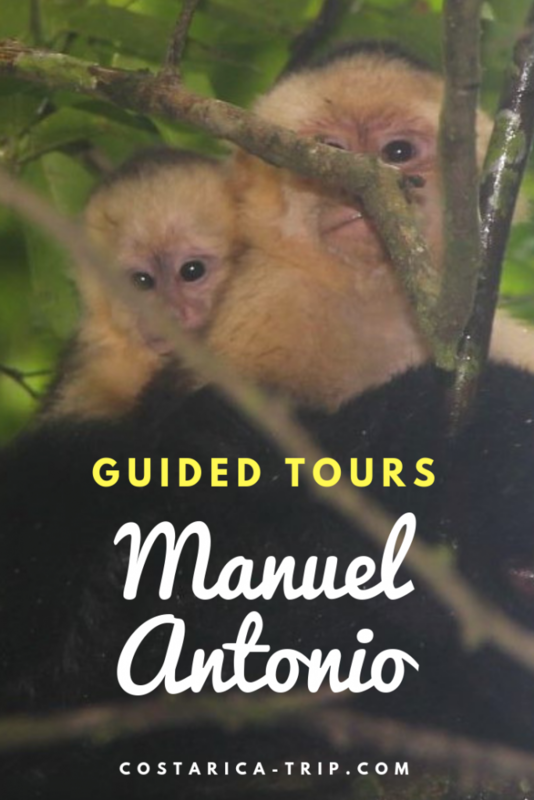 Since this is a popular destination there are a lot of things you can do in the area and here we will help you out by recommending only the best tours in activities to do in Manuel Antonio. Check them out 😉 ! 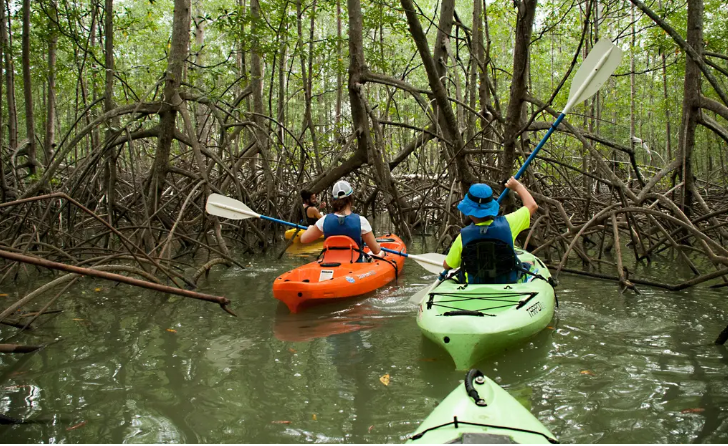 Departs from a private dock in the middle of the mangrove jungle, where you will get your kayak. You can ride tandem as well, but is more challenging to go through certain areas. The guide help you the whole way as well as take pictures for you to keep as memories. Explore the pristine natural beauty of this World Famous National Park filled with exotic wildlife such as monkeys, sloths, birds, reptiles and butterflies. 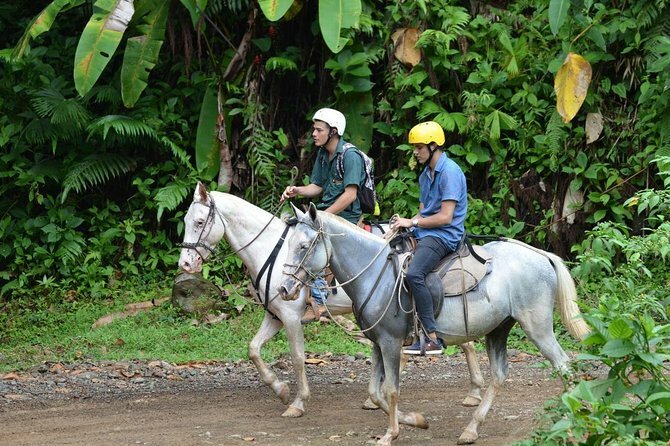 This horseback riding tour will help you see what Costa Rica looks like from a different perspective. You will be able to see amazing country towns, great valleys and Costa Rica’s waterfalls. Abundant wildlife, exuberant vegetation. 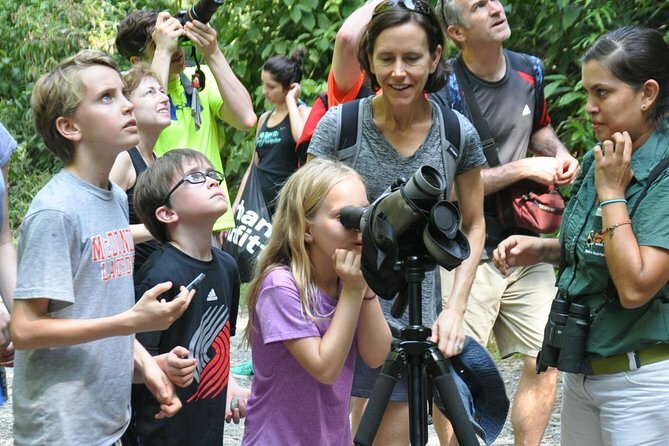 An expert nature guide will be your companion on this awesome trip. Not ready to book your Tour yet? 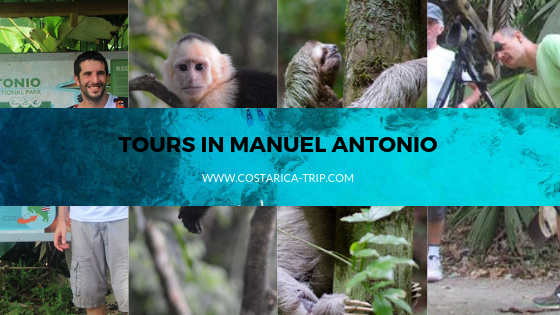 Manuel Antonio is a small village located on Costa Rica’s central Pacific coast, encompasses rugged rainforest, white-sand beaches and coral reefs. It’s renowned for its vast diversity of tropical plants and wildlife, from three-toed sloths and endangered white-faced Capuchin monkeys to hundreds of bird species. Manuel Antonio National park’s roughly 680 hectares are crossed with hiking trails, which meander from the coast up into the mountains. Famous for its national park, is located just a stone’s throw away from Quepos which is famous for sportfishing. 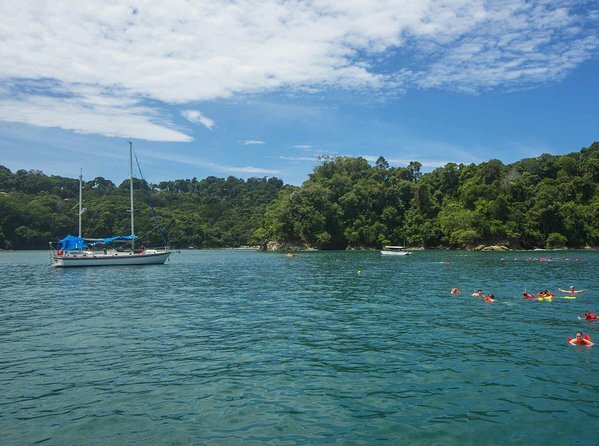 Although a wide array of tourism businesses have sprung up along the forested hills, Manuel Antonio has managed to strike a fine balance between development and nature. Wildlife is plentiful all around town and is a highlight for most visitors. If you are interested in exploring the area, a car is a great option. The drive time from San Jose is only about 2.5 hours, and if you want to get a great deal check our car rental offers, you can compare rates and book online. If you’re not comfortable driving, shuttles or private transfers are another good option, it will allow you to relax while you travel from San Jose Airport to Manuel Antonio and enjoy the views along the way. The bus does not pass the airport heading to Quepos or Manuel Antonio so you will need to take a taxi or local bus to the Tracopa Station in San José. 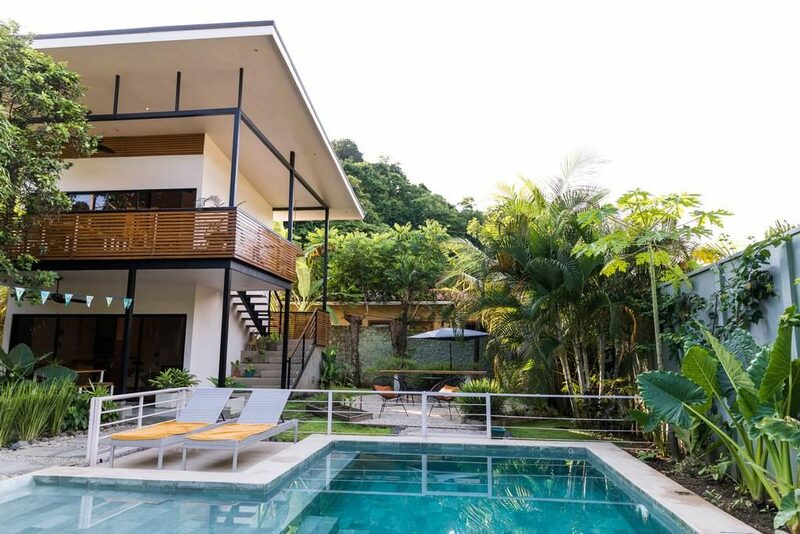 Manuel Antonio offers plenty of great places to stay from extravagant luxury condos to cozy hideaway hotels tucked into nature! 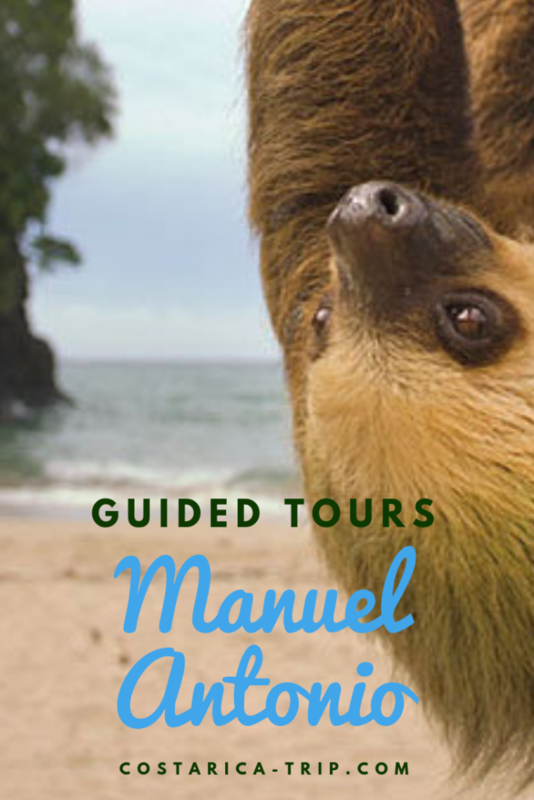 Check last Hotel offers for in Manuel Antonio on our Map below and click on the rate you want to select to change dates, number of people, etc. Though one of the smallest park in the country, Manuel Antonio National Park is the most popular. Manuel Antonio is often considered among the most biodiverse parks in the world. Spanning several natural habits, this gem boasts more than 109 different species of mammals and 184 species of birds. 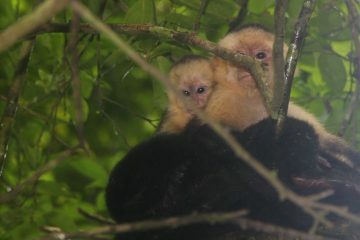 You can spot the white-faced and howler monkeys, two-toed sloths and the endangered squirrel monkey. Its four beaches cater to snorkeling, swimming and sun bathing. For hikers, there are plenty of well marked trails to explore all the flora and fauna. 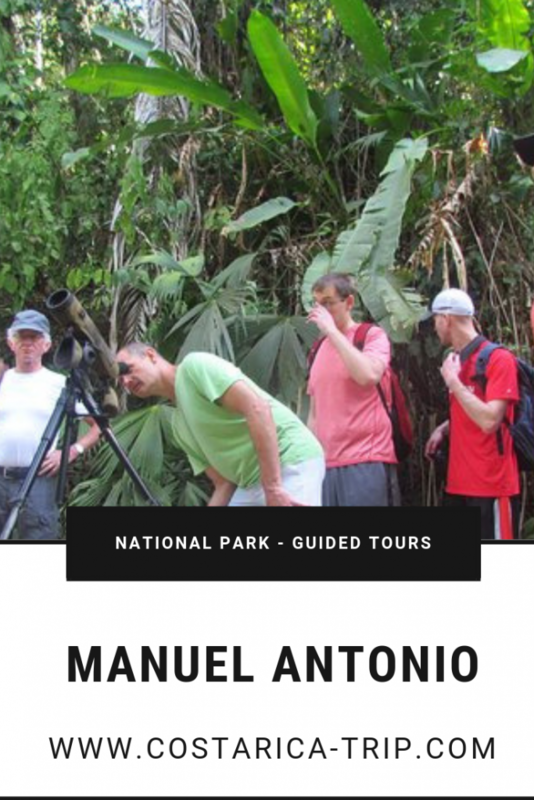 Manuel Antonio National Park is open Tuesday through Sunday from 7:30 a.m. to 4 p.m. 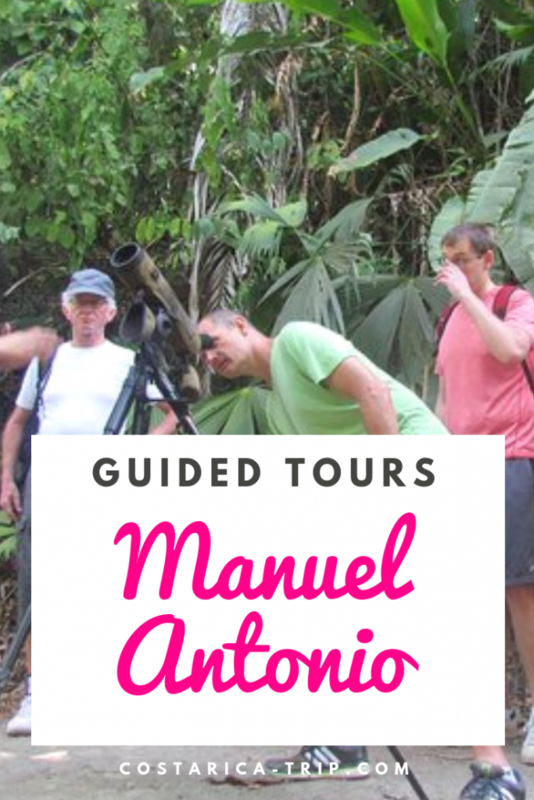 If you want to check more Tours and activities in Manuel Antonio check our Top Rated Tours in Manuel Antonio page, you’ll find the best horseback riding tours, kayacking and Sailing Tour with open bar! 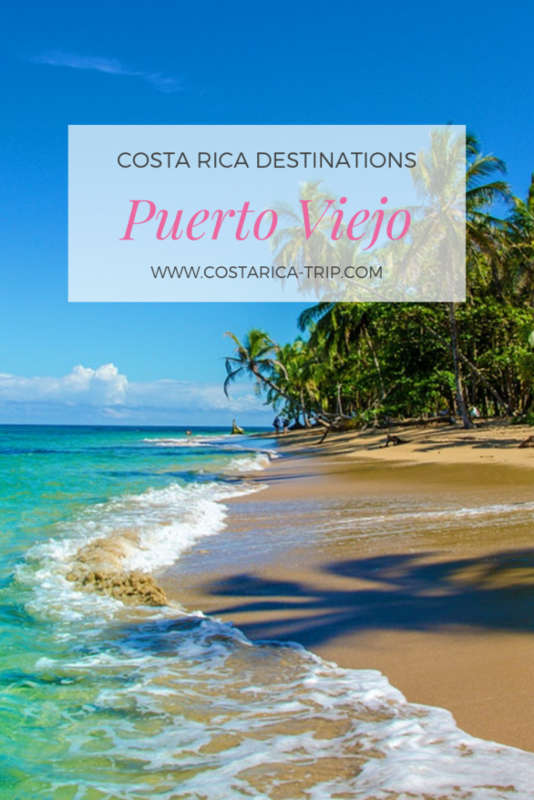 Puerto Viejo is a town on the Caribbean side of Costa Rica, Known for its laid-back attitude and famous for it’s surfing. The village’s cultural influences are interesting to be sure: a mix of Afro-Caribbean, Bribri Indian, tico and hippyesque counterculture. 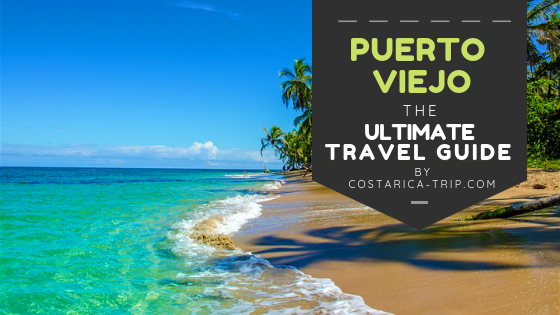 Puerto Viejo de Talamanca is a beach lover’s paradise. Here amidst the exotic flora and fauna, lies a vibrant seaside town with gorgeous beaches, crystal clear blue waters, and some of the most amazing surfing opportunities. Its proximity to national parks. 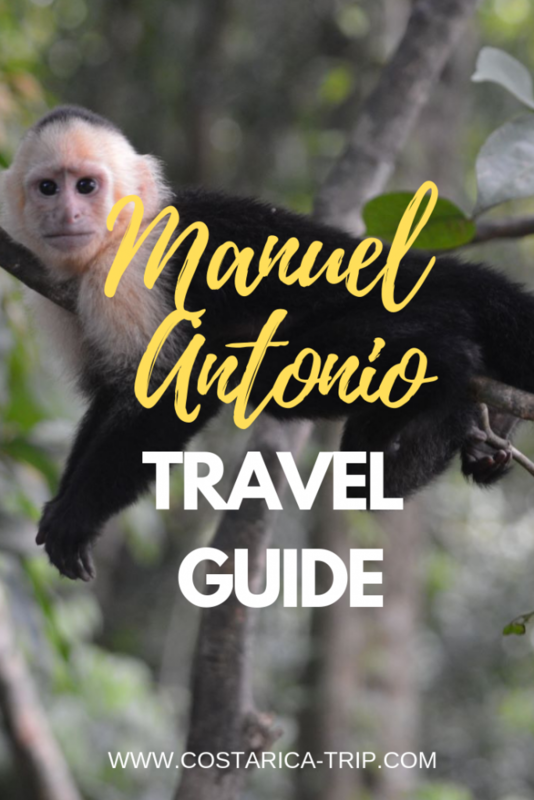 Nearby Cahuita National Park and Gandoca-Manzanillo National Wildlife Refuge offers visitors a chance to observe the region’s stunning wildlife, both of which are a short drive away. 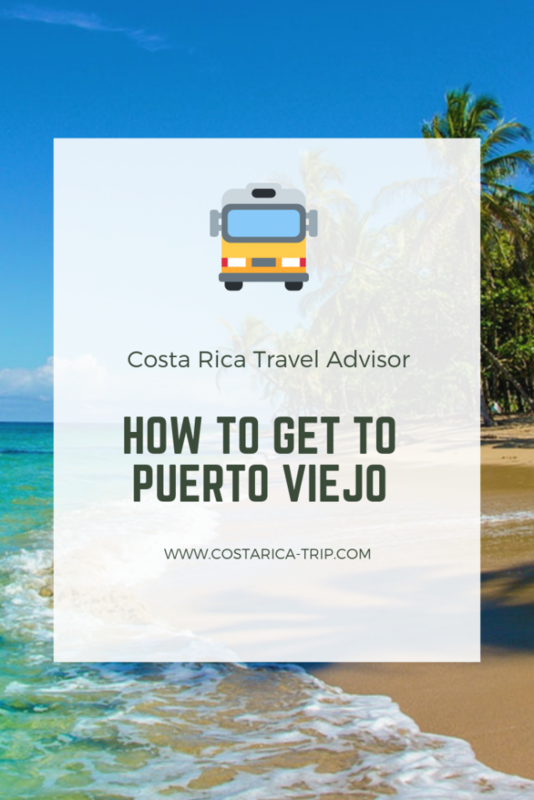 Simply known as Puerto Viejo by the locals and not to be confused with Puerto Viejo de Sarapiqui in Heredia, this bustling town lies 34 miles south east of Puerto Limón, and 10.2 miles south of Cahuita. The bus is the most economical option. Seven daily express buses leave from San Jose. Direct Buses from San Jose to Puerto Viejo leave from MEPE Terminal. Note that the bus stations in San José are unfortunately where dishonest taxi drivers seem to gather waiting for tourists to overcharge. So don’t believe them if they tell you that the bus is not leaving to Puerto Viejo that day for any reason and ask directly at the bus station office. There are also frequent buses (generally every half hour) between San Jose and Limon operated by Grupo Caribeños. From Limon you can catch a connecting bus to Puerto Viejo. The trip to Limon usually takes 2 1/2 to 3 hours and the bus to Puerto Viejo another 1 1/2 hours. Note that in Limon you will need to transfer from the Grupo Caribeños bus terminal where the San José buses arrive to the MEPE terminal which is a few blocks away. If you have much luggage at all, take a taxi (it should cost no more than $2). It is not recommended to walk around Limon with conspicous amounts of luggage, it could make you a target. 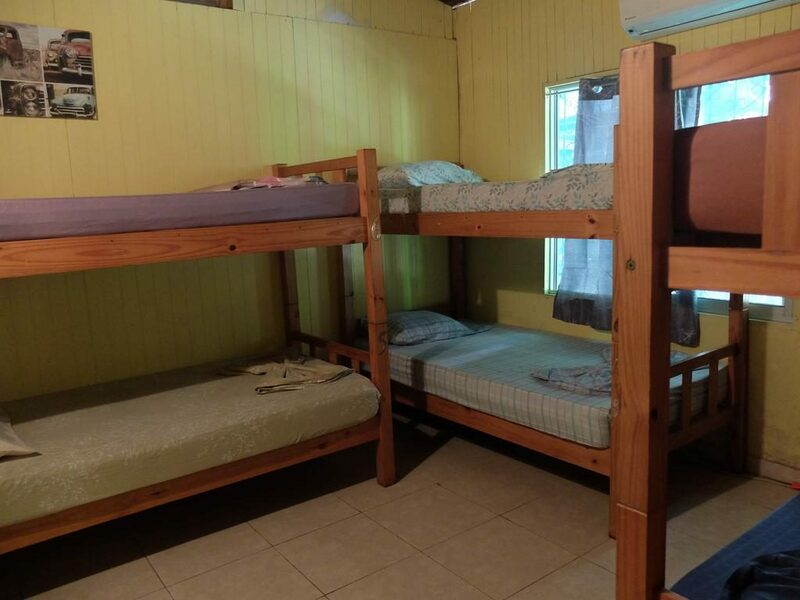 Before you head to Limon though, make sure there will be a connecting bus to Puerto Viejo otherwise you’ll be stuck in Limon overnight or taking a taxi. The phone number of the Transportes MEPE office in Limón is (506) 2758-1572. Puerto Viejo has no airport, but it is possible to fly to Limón, about 45 minutes north, and take a shuttle to Puerto Viejo. 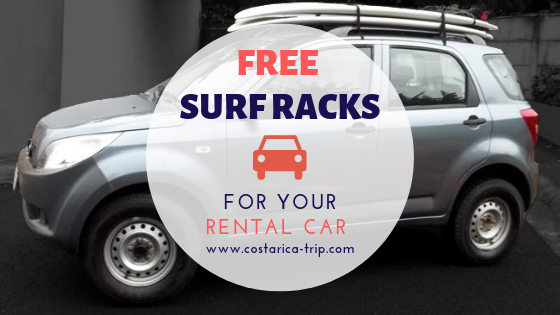 You can rent your own vehicle and drive to Puerto Viejo. MEPE Terminal is located about 18 min away from the airport. Caribeños Bus Terminal is just 13 min away walking from the MEPE Terminal. Most roads to this town are in pretty poor condition with the only paved road being the main highway from Limon to Manzanillo. The streets here are dirt paved. 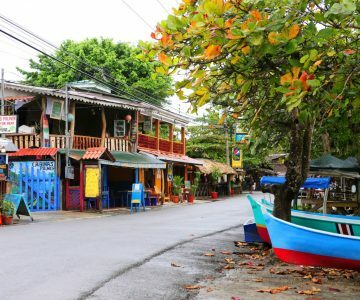 However, they give Puerto Viejo a kind of rustic touch that is distinctive and unique. The people here are also very friendly and all this adds to this tiny village’s charm. This town is among the top rated surfing destinations of the world. Famous for its fabulous beaches, Puerto Viejo’s Salsa Brava beach is a surfer’s paradise. However, be warned of the waters here that have a strong rip current. So, swimming is not advisable. This beach is for surfing experts only. The reef right in front of Puerto Viejo is the spot for more advanced surfers. Surfline says: Salsa Brava loosely translated means “angry sauce”, and if that ain’t a groovy little metaphor, nothing is. It called Costa Rica’s heaviest and best wave, and believe it: pound for pound, it’s as intense as any coral reef double-up right tube in the world. 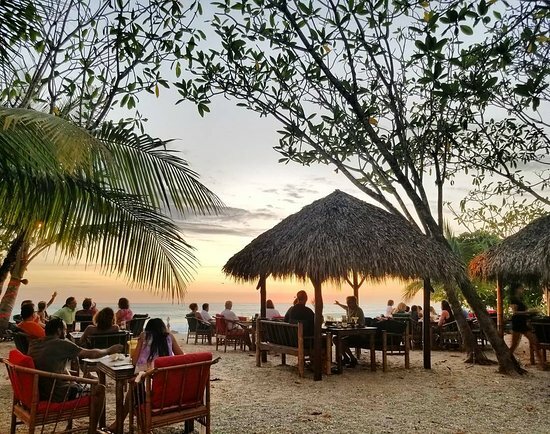 Are you going to spend this New Year’s Eve in Costa Rica, but you aren’t sure where to go to have a great time and a great start for this 2019? 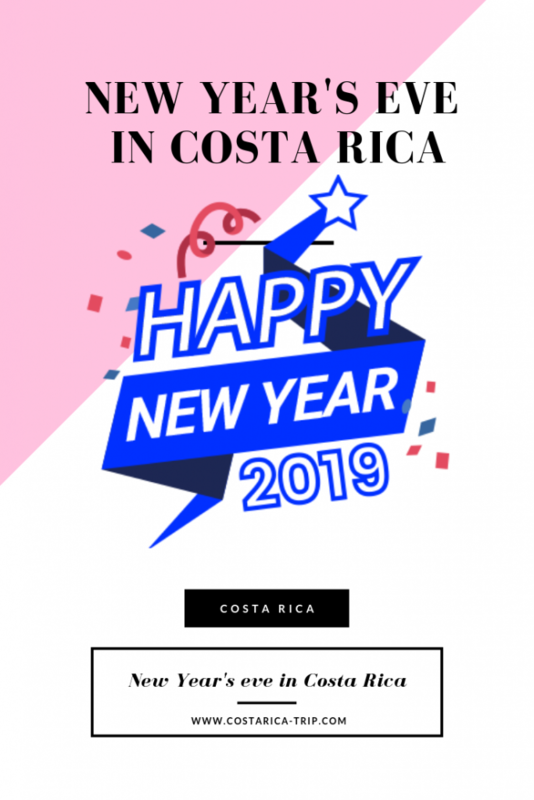 Then keep on reading here you will find information about How costaricans spend the new year’s eve, traditions and our list of the best locations in Costa Rica to spend New Year’s Eve! 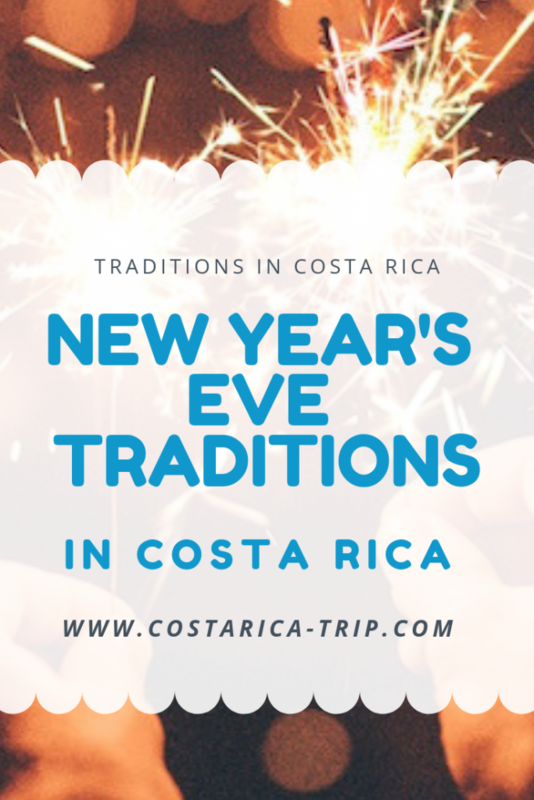 How to celebrate New Year's Eve in Costa Rica? In Costa Rica, New Year’s Eve is traditionally a very family-oriented holiday, and families and close friends gather together to celebrate. Costa Ricans definitely know how to party and there is never a shortage of libations and delectable food. Wearing the right colors on your underwear: It is believed that if you wear yellow underwear, you will attract good fortune in the upcoming year. Green underwear is worn to attract money. And if you want to attract your soulmate in this next year, make sure that you wear red underwear. You can also hang these same colors in ribbon form on your front door, to attract the same things. Eating 12 grapes at midnight:It is a local tradition, and one that is shared with many other Latin American countries, to eat 12 grapes on New Year’s Eve. You eat one grape for each new month to come. Don’t forget to make 12 wishes too! Playa Tamarindo is a very popular New Year’s Eve destination for visitors and locals alike, and the party scene is unrivaled. There is a full-on beach party and all the bars are open and bumping. Don’t try to drive anywhere, though, as the roads will be so heavily crowded that you could be stuck for hours. Fortunately, everything is within walking distance here. 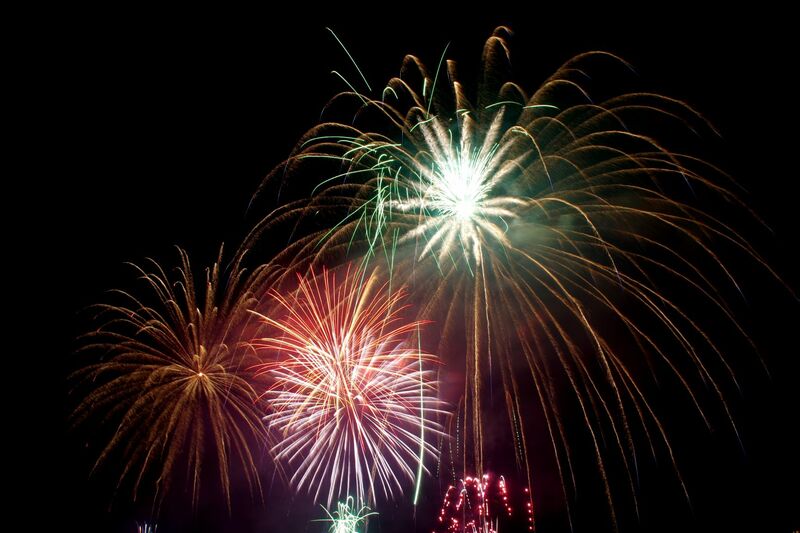 There are also incredible fireworks visible from the beach in Tamarindo at midnight. 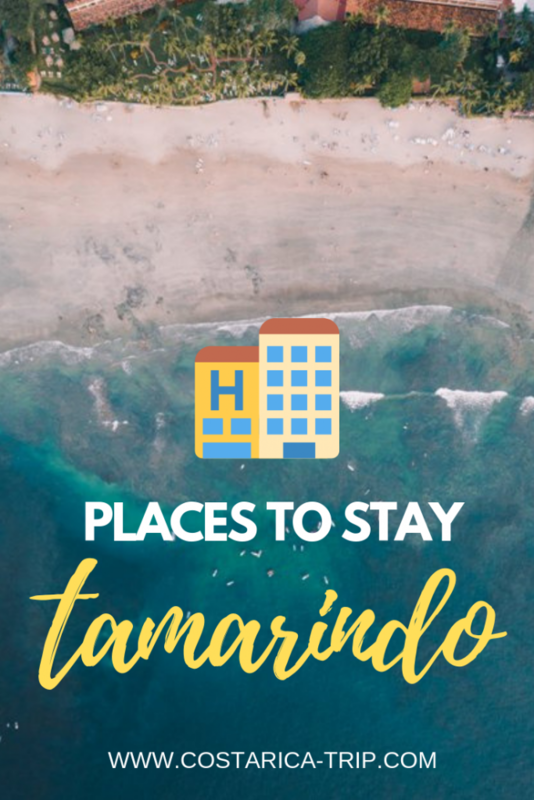 If you don’t know where to stay in Tamarindo, check our list of Places to Stay in Tamarindo for New Year’s Eve. Jaco is a famous destination to party all night long on new year’s eve! Clubs, bars, discos, dive bars, & VIP bottle service, Jaco has it all. 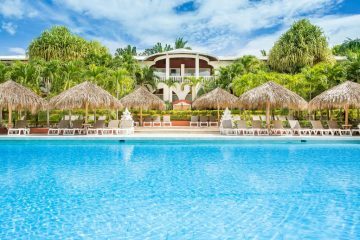 Hotel Croc’s Casino & Resort: This 5 star resort offers their clients great new years packages to stay in the resort and celebrate new year’s eve at Jaco beach. Hotel DoceLunas: Four star hotel DoceLunas welcomes locals and visitors with an open pool party. Splash around or float on a pool toy in the beautiful free form mosaic-lined pool or hide out in the waterfall cave. Enjoy drink specials, grilled food, and free zacate shooters. Los Suenos resort in Herredura bay puts on a much more upscale celebration with fantastic fireworks show at the beach club. Wyndham San Jose-Herradura: The New Year’s Eve Parties at the Wyndham hotel are known to be some of the best in the country. 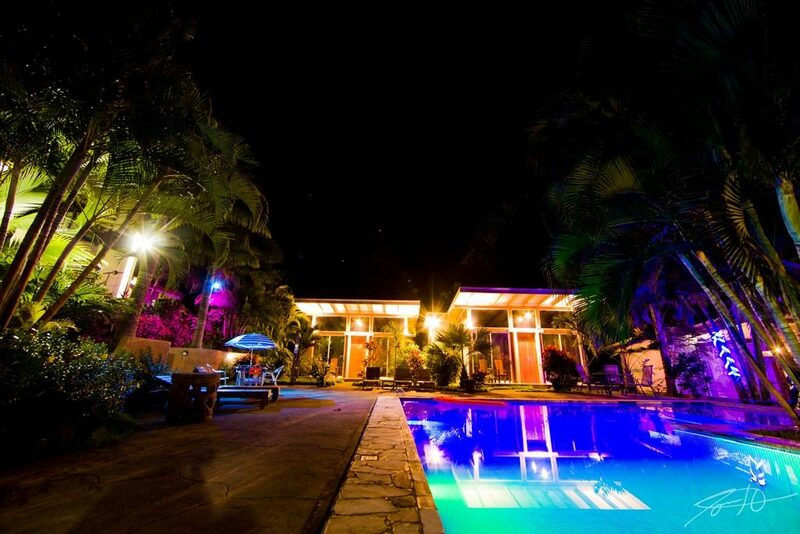 The hotel lines up some of the most popular bands in Costa Rica, it offers three different atmospheres, two dance floors, premium open bar for 10 hours, gourmet dinner, snacks and buffet style BBQ, international DJ’s, shows, carnival, photo booth, toast, energetic breakfast and pool after party. 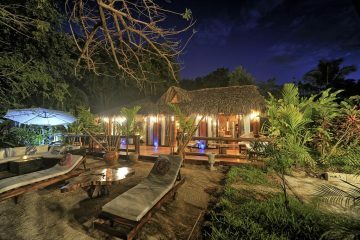 Check here rates & availability to stay at Ranchos Itauna. One of Costa Rica’s most played songs this time of the year is Año Viejo. This song is a must if you want to celebrate New Year’s Eve in Costa Rica like a local! 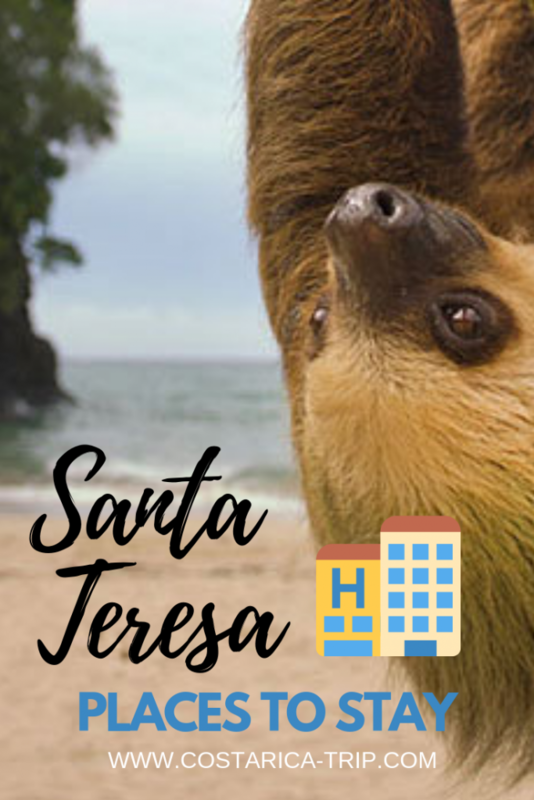 Here you will find a list of the Best Places to stay in Santa Teresa, we’ve created a list of places to stay for all budgets, so keep reading, compare rates and take advantage of the good deals you will find here! Santa Teresa Beach is located in the middle of two small villages, Mal Pais in the south and Playa Hermosa in the north. They connect with each other by one, long winding road, just behind the beach. When visitors say they love Santa Teresa Beach, they really also talk about Mal Pais, Playa Hermosa, and Playa Carmen. That’s because it’s hard to tell when one stops and the other starts. 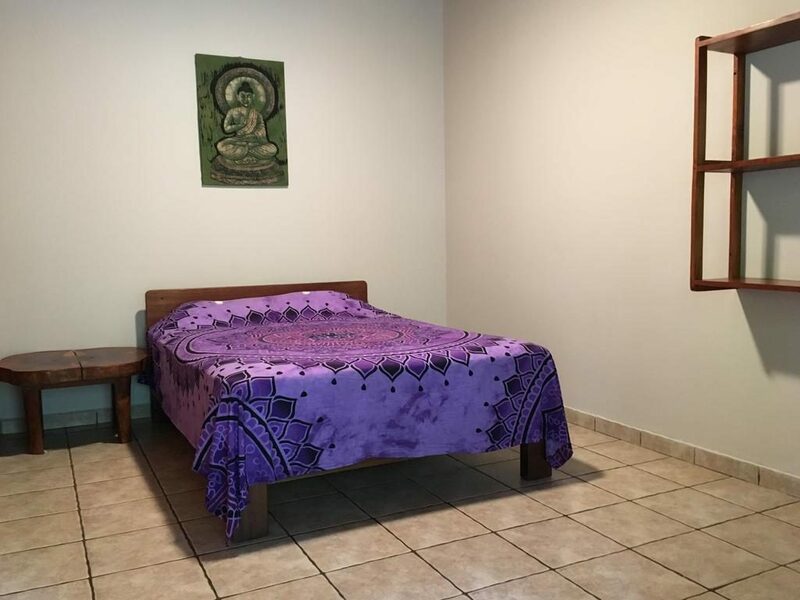 Santa Teresa is a great location to get away from the noise, go for long walks at the beach, practice yoga and surf, and it’s a short drive away from Playa Hermosa and Playa Carmen. 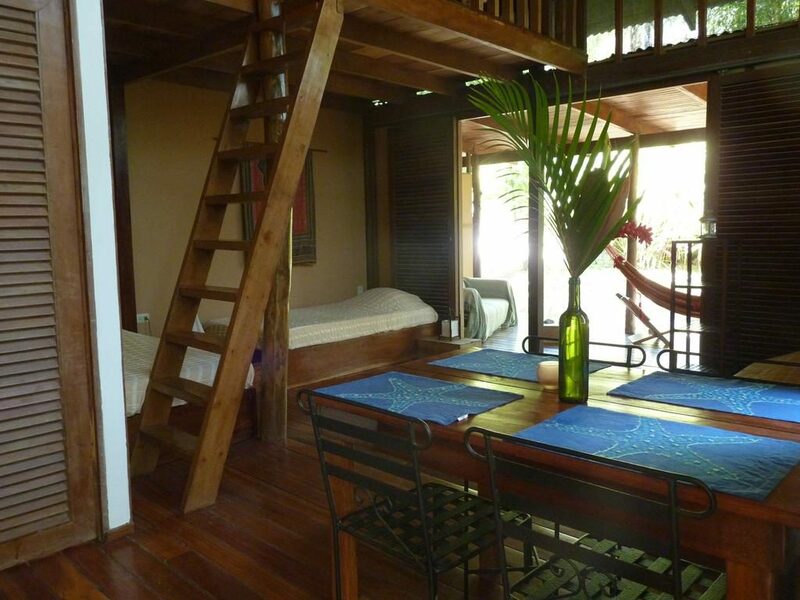 Casa Zen Guest house and Yoga Center is located 50m from the beach. It features a yoga deck, free Continental breakfast and Zen inspired décor. The rooms and studios feature lush wooden décor, a fan and safety box. The bathrooms are shared. Guests at Casa Zen Guest house and Yoga Center will find a variety of restaurants within 50m and supermarket 30m away. The property has spacious common areas where you can relax, read or socialize with other guests. The extensive garden offers outdoor lounges and activities such as surf lessons and yoga classes can be arranged on site. Bikes for rental are available as well. Disfrutalo Resort located in Santa Teresa offers a swimming pool, a beautiful tropical garden and a restaurant, Disfrutalo Resort is located 100 m from Santa Teresa Beach. The kitchens are fully equipped with a refrigerator and a coffee machine, and the private bathrooms come with a shower. 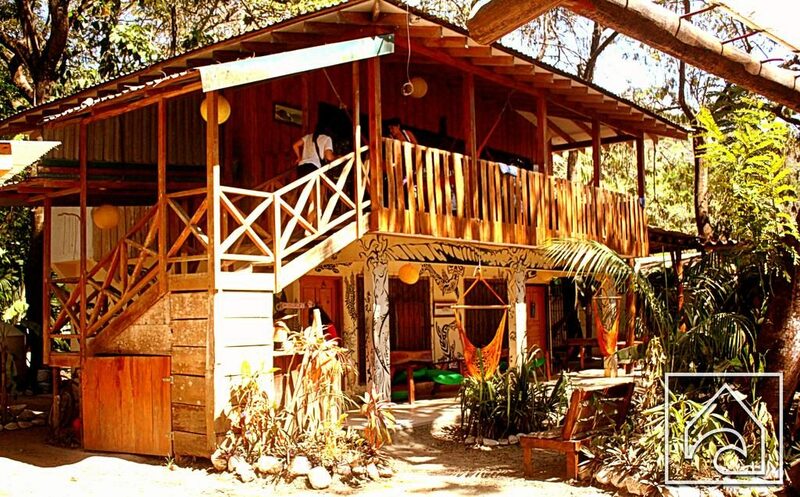 The property is 9.3 mi from Cabo Blanco Nature Reserve and 7.5 mi from Montezuma Waterfalls. Daniel Oduber International Airport is a 3-hour drive away. It offers free parking. 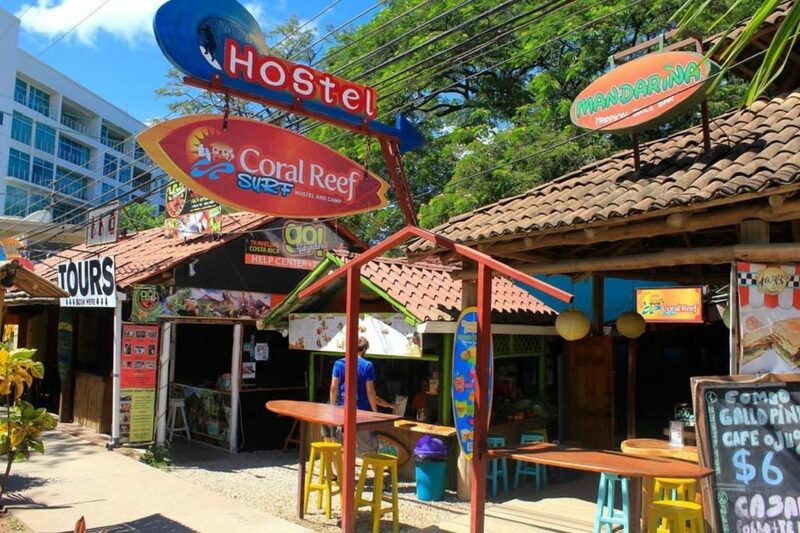 Mini Hostel Santa Teresa is located 100m from the surf break and beach in Santa Teresa. Surrounded by tropical gardens, it features a swimming pool, shared kitchen and free WiFi in communal areas. The property’s rustic dormitory rooms include a shared bathroom. Guests also have the option of a rustic bungalow or a private room. Guests can enjoy a drink at the bar. 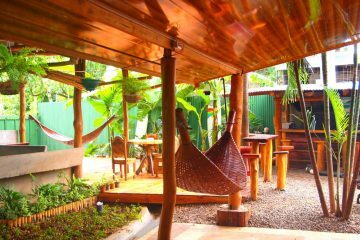 The hostel also has a social area with hammocks, cable TV and free Wi-Fi. 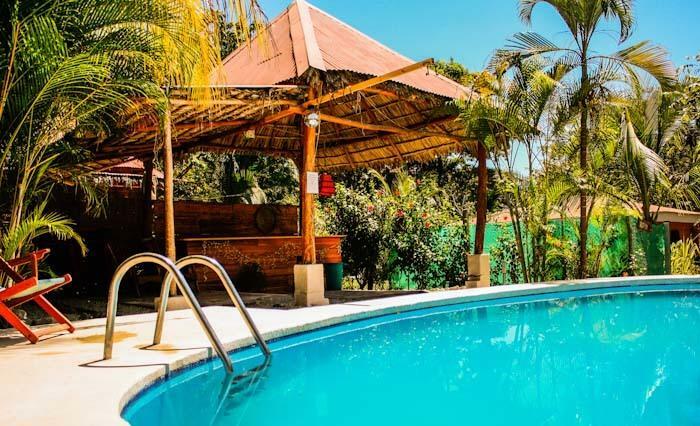 Offering an outdoor pool and lush tropical gardens, Hotel Luz de Luna is located in Santa Teresa, just 121 m from the popular Playa Santa Teresa beach. It offers free WiFi and on-site parking. The rooms here feature rustic, modern décor and come equipped with a safety-deposit box, fan and a private furnished balcony. The bathrooms include a bath or shower. At Hotel Luz de Luna you will find a 24-hour front desk and a shared terrace, while restaurants, bars and supermarkets are available within a short 5-minute walk. 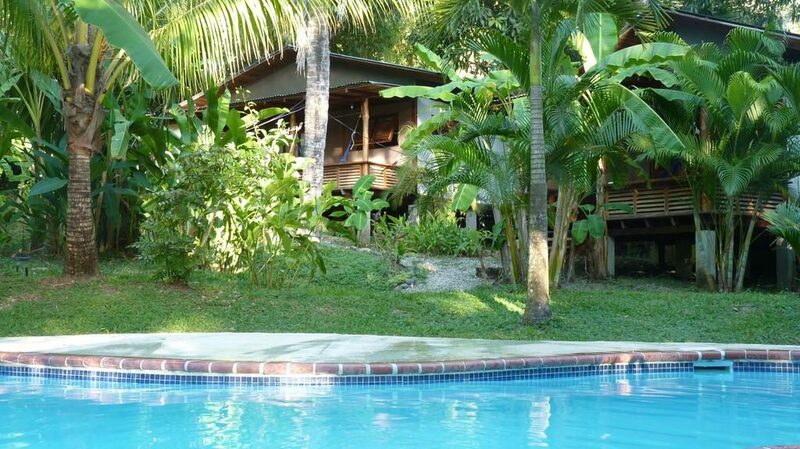 Offering an outdoor swimming pool and beautiful garden, Fuego Lodge is located in Santa Teresa, 250m from the beach. Free WiFi access is available in all areas of this lodge. The rooms, suites and studios will provide you with a TV and air conditioning. There is also kitchenware and a private bathroom with a bath or shower. Extras include a sofa, an outdoor seating area and a safety deposit box. 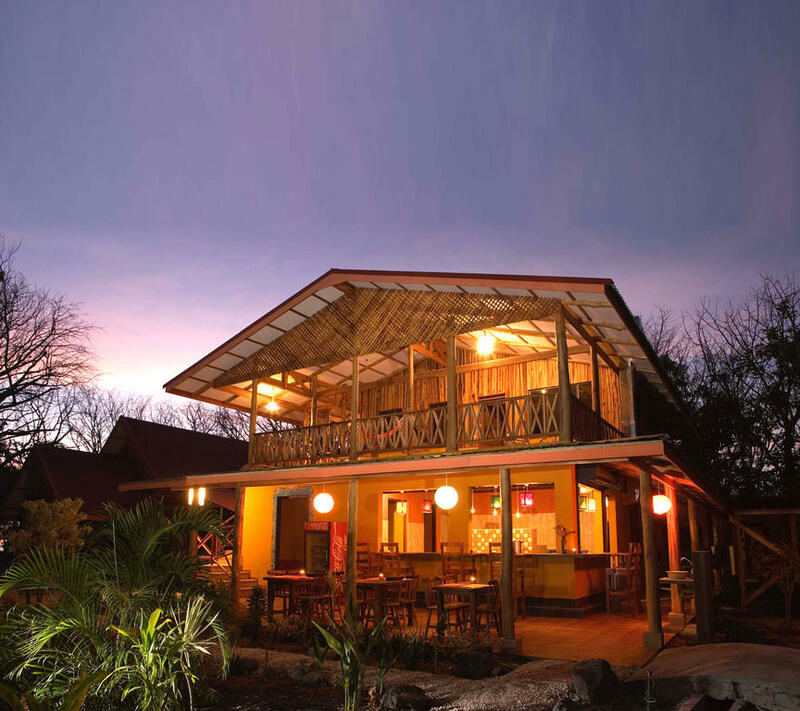 At Fuego Lodge you will find a 24-hour concierge service and free parking. 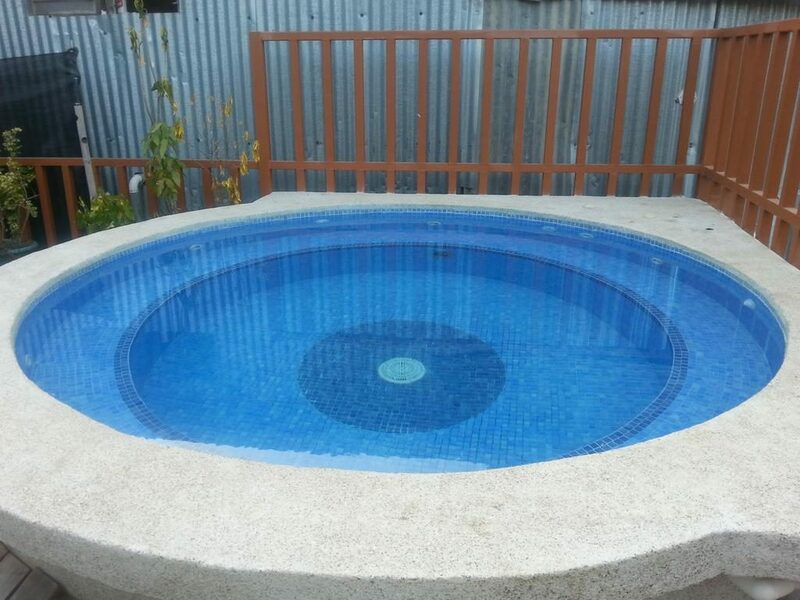 This property is 1.5 km from Carmen Beach and 10 minutes’ drive from Cocal Beach. Offering a restaurant and snack bar, Hostal Casa del Mar is located in Santa Teresa just steps from restaurants, markets and entertainment. Free WiFi is available in all rooms. 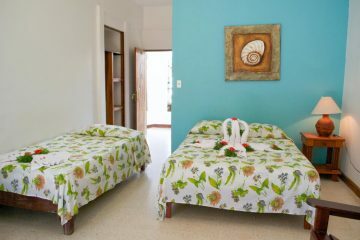 Featuring garden views, each dormitory room at Hostal Casa del Mar Santa Teresa features a private bathroom with a shower. Extras include bed linen and a fan. A 24-hour reception and luggage storage are available. Surrounded by the jungle and wildlife, an array of activities can be enjoyed on site or in the surroundings. A prime spot for surfing, Playa Santa Teresa is 50m away. 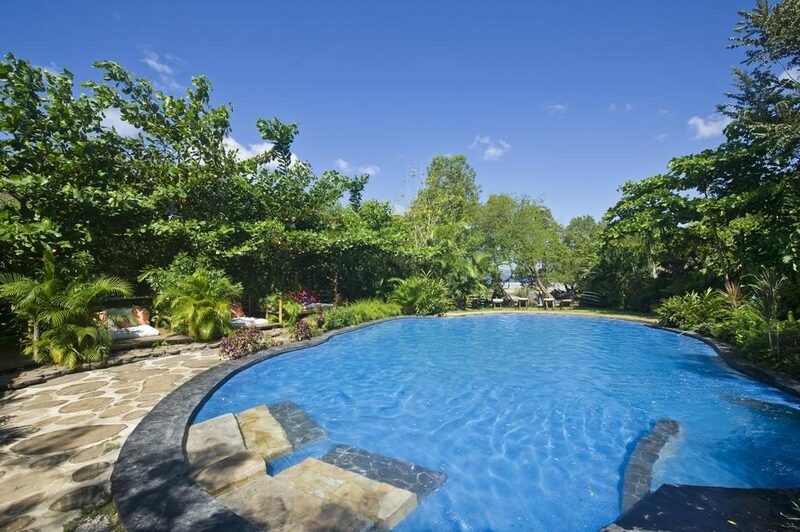 Located in Santa Teresa, Villa Cacao has an outdoor swimming pool, and free WiFi throughout the property. This hotel has air-conditioned rooms with a private bathroom. The accommodations offers a 24-hour front desk and a concierge service for guests. The rooms come with a toaster, fridge, a coffee machine, a bath or shower, free toiletries and a wardrobe. Selected rooms include a kitchen with a stove. All units at the hotel are fitted with a seating area, locker and a daily cleaning service is included. Villa Cacao also features a terrace. Hostel Dos Monos is 80m from the beach and 100 m from the intersection between Mal País and Santa Teresa. 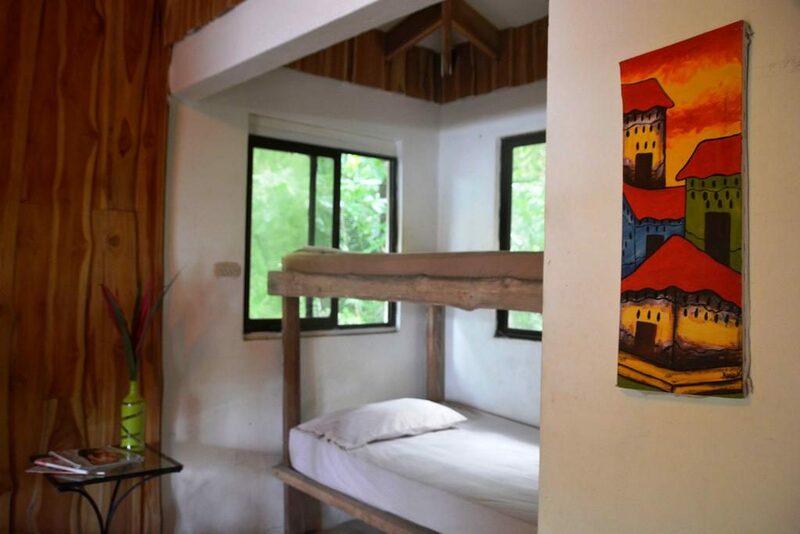 Offering beds in dormitory rooms with air conditioning, private bathroom and access to shared kitchen. Fully equipped apartments with air conditioning, TV, hot shower and fridge are available, while budget rooms with private bathrooms are also provided. You can find a bank, pharmacy and bus stop and taxis just 50m away from the property. 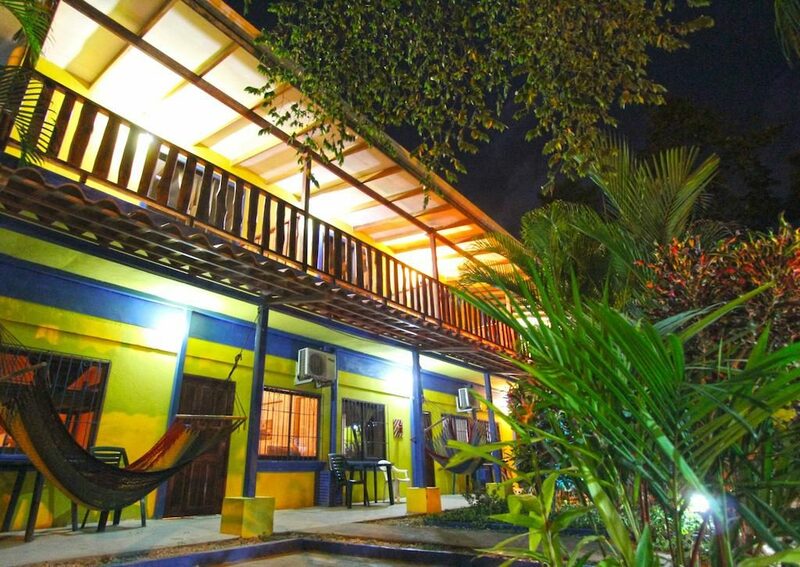 Beach Break Surf Hotel is located in Santa Teresa, right on Playa Hermosa beach. It features a shared kitchen and free Wi-Fi. The property offers fully equipped apartments with a seating area and kitchen. Also available are spacious rooms with a private bathroom and free toiletries. Guests can cook at the property or explore any of the restaurants located within a 10-minute walk. Facilities offered at the property include a luggage storage. 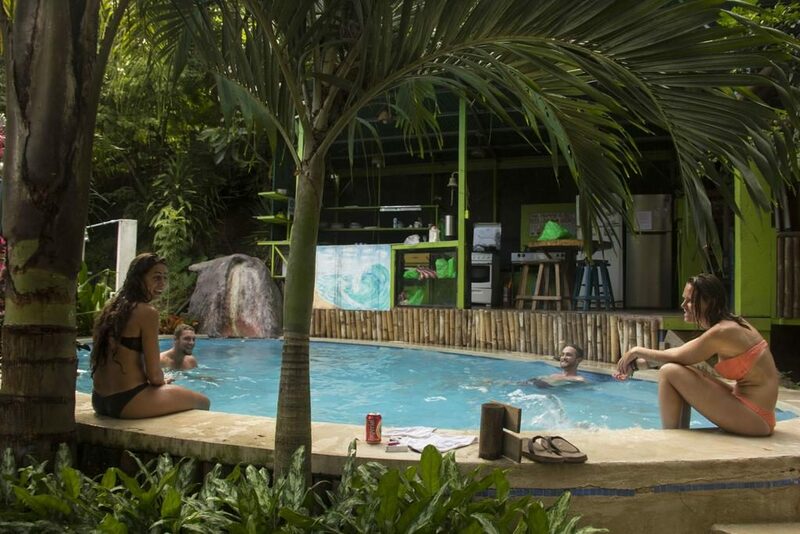 Located in Santa Teresa Beach, Slow Monkey Hostel features an outdoor swimming pool and a garden. Among the various facilities of this property are a terrace and a shared lounge. Free WiFi is available. With a private bathroom equipped with a shower and free toiletries, some rooms at the guesthouse also have a city view. 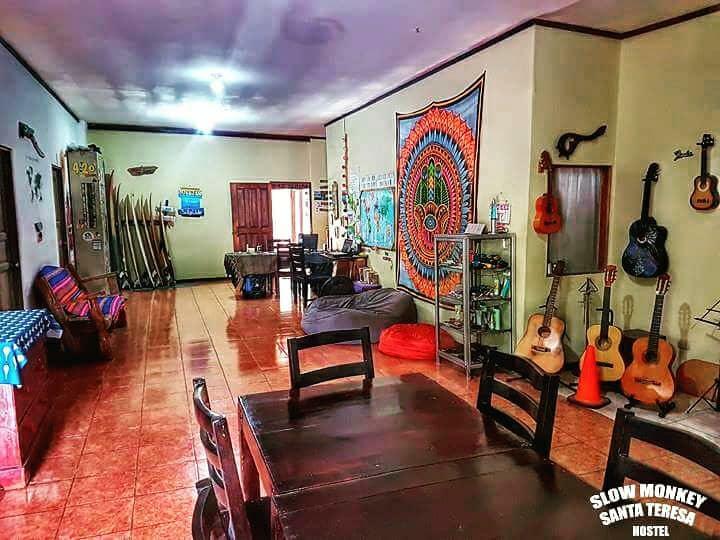 You can play pool at Slow Monkey Hostel, and bike rental and car rental are available. Speaking English, Spanish and Portuguese, staff are ready to help around the clock at the reception. 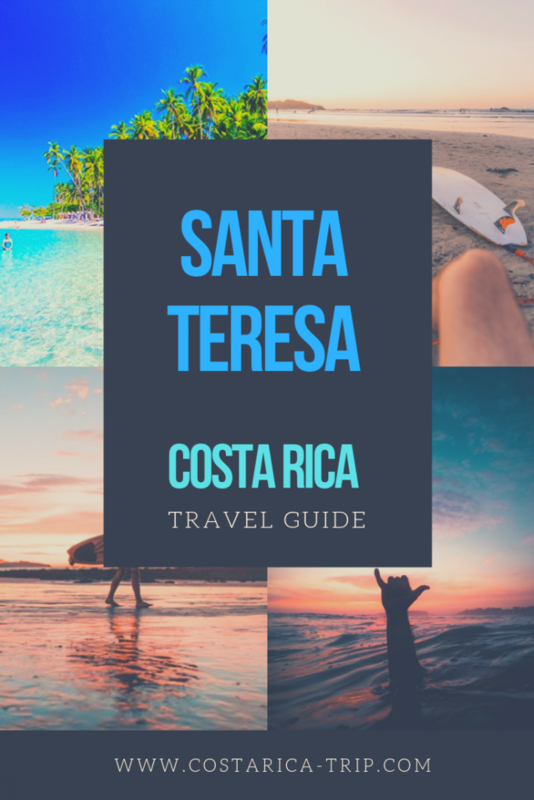 Santa Teresa is a booming travel destination in Costa Rica. 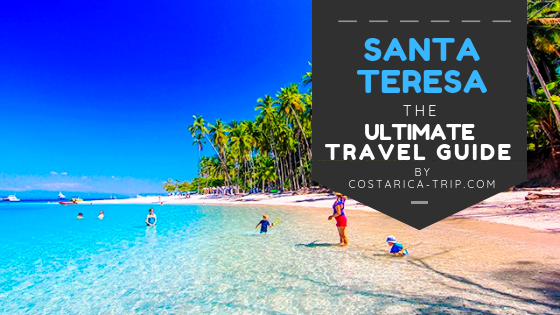 Santa Teresa‘s white sand beaches and consistent surf attracts especially surfers and a growing number of travelers each year. There is definitely a laid back, surfer, backpacker, hippie kind of vibe here. There are also luxury accommodations, amazing restaurants, happening nightlife, and modern day amenities packed into this small town. Playa Santa Teresa ranks among the most beautiful beaches of Costa Rica. You can make long hikes along the picturesque coastline, bathe in tidal pools or find a place under a palm tree for loafing and reading a book. 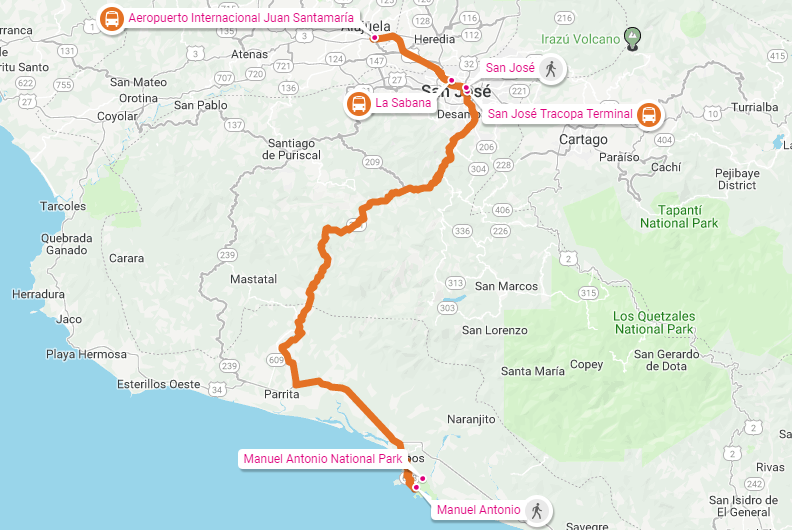 The fastest way to reach Santa Teresa by car is using Route 27, which will take you to Puntarenas downtown in around one hour, depending on traffic and weather conditions. At the very end of Puntarenas town you can find the Ferry Station, here you need to buy the tickets for the next ferry to Paquera and make the line to get into it. Depending on the time of the year the schedules vary, however is always advisable to plan your time base of the ferry hours. The ride in ferry is very nice and it takes around 45 minutes. After getting off the ferry, you have to follow the road down to Cobano and then head the crossroads at Playa Carmen, to the right you will reach Santa Teresa, to the left is Mal País. The total time could be around 4 hours. Here is the ferry schedule and rates. If you decide to rent a car for your vacations in Santa Teresa we do advise renting a 4×4. You can rent a car and have it waiting for you at the SJO or Liberia Internationals Airports. 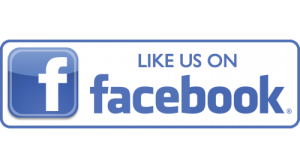 Click here to quote for a CAR RENTAL for your trip to Santa Teresa. Two direct buses depart from San Jose and Santa Teresa every day, one at 6 am and one at 2 pm. 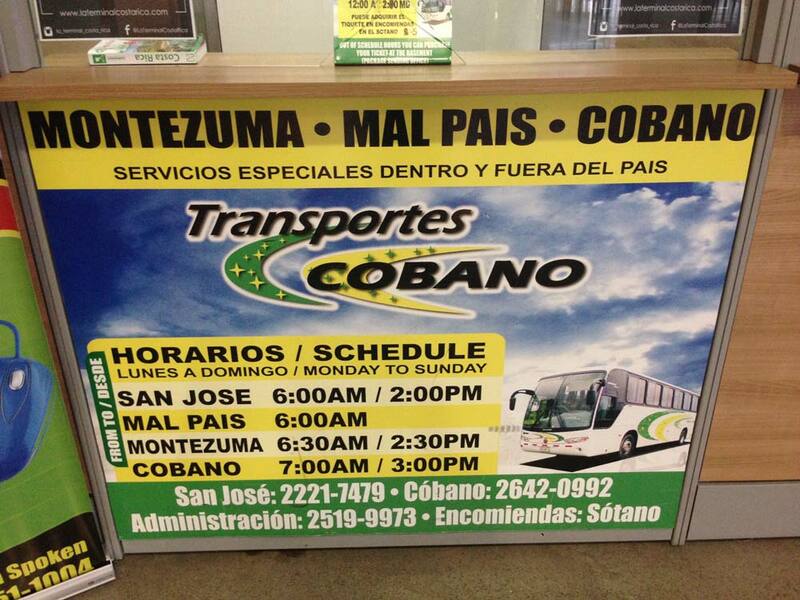 Transportes Cobano runs the service, the price per person is approximately $12.00. The journey takes 6 hours in total and the bus terminal is located in ¨La Coca Cola¨ in San Jose downtown. Another option using public transportation is taking buses going to Puntarenas, once in there take the ferry to Paquera and then take the bus from Cobano to Malpaís/Santa Teresa, which runs twice a day at 10:30 a.m. and 2:30 p.m.
You can also check “La Terminal” website, where you can check schedules and book online. 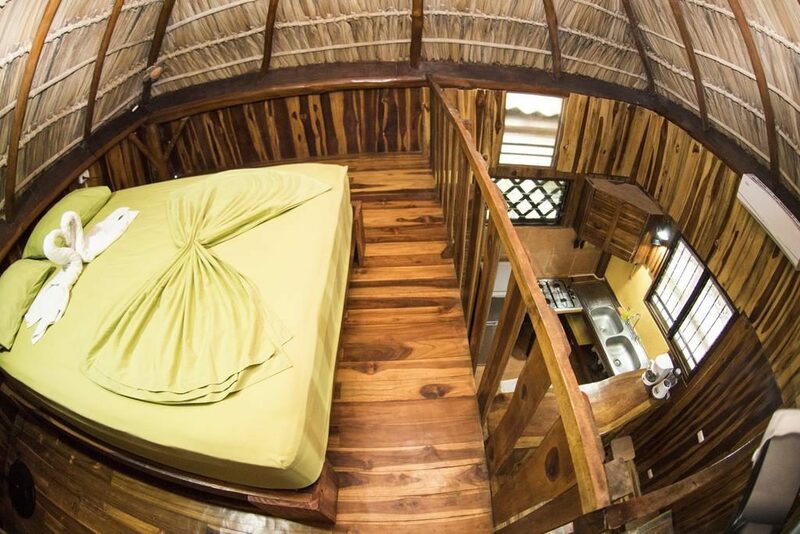 Travelers can find rooms for as low as $14 a night up to $600 a night; there is no shortage of choice, accommodations in Santa Teresa range from hostels to luxury hotels and guest houses in Santa Teresa. 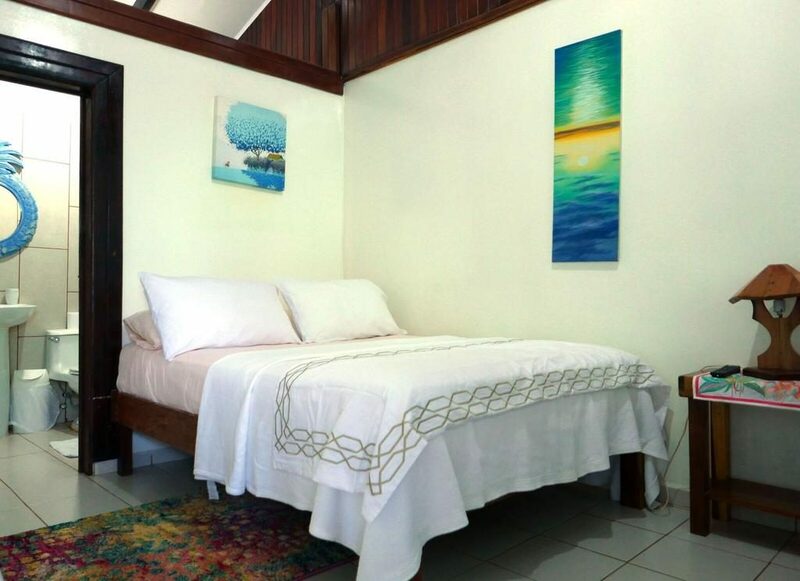 If you are planning to travel during the peak season – December through April – make sure to book your accommodations in Santa Teresa early. 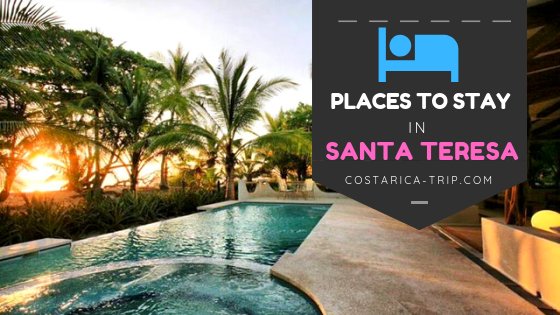 A few places to stay in Santa Teresa worth checking out, just to get the ball rolling are: Latitude 10 Beachfront Resort, Surf Vista Villas, Otro Lado Lodge, and Casa Del Mar Surf Destiny. More information about Places to Stay in Santa Teresa here. 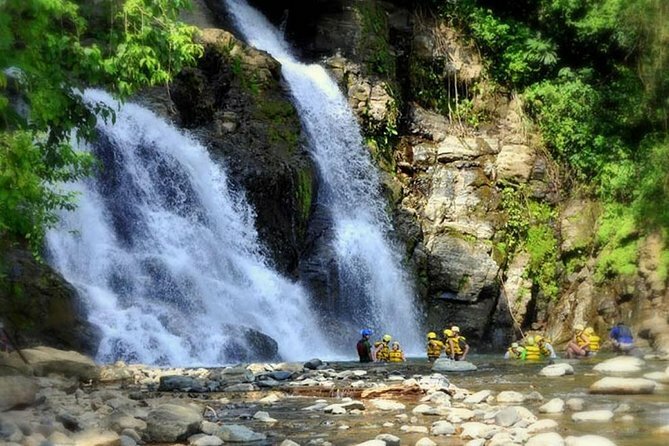 Just a short ATV or car ride away is the entrance to the Montezuma waterfalls. This is a great day activity for those looking to hike to and swim beneath a giant cascade. The hike can be a bit hot, so make sure to bring water and wear sunscreen, but the cool pool at the end is a wonderful and refreshing reward. For the dare devils out there, you can actually climb up the waterfall and jump off of it. Be careful of the rocks below though. Ideal for lovers of sun, sand, nature, wildlife, and local culture, this private 9-hour tour of Santa Teresa showcases the area’s rich beauty. 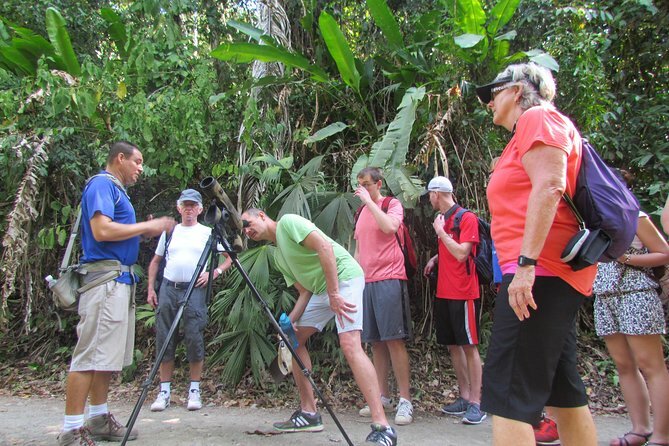 Your private tour includes a 2-hour hike in Curu Wildlife Refuge to look for native animals followed by a typical Costa Rican lunch with a local family. In the afternoon, snorkel in the Tortuga Islands and finish your day at the Florida waterfalls — it’s a perfect introduction to Costa Rica’s natural highlights. Cabo Blanco Nature Reserve is one of the oldest nature reserves in Costa Rica and is a spectacular place to visit. Cabo Blanco is home to a large variety of birds, mammals, and other animals, among which are anteaters, white-tailed deer, capuchin monkeys, coyotes, and elusive wildcats. There are also over 150 different types of trees that have been identified here. Don’t miss this beautiful reserve when staying in the Santa Teresa area. Santa Teresa has become one of the top destination surf spots for surfers in search of the best waves in Costa Rica. Because of its rolling coastline, white sand beaches and notoriously ‘hollow’ low tide waves, Santa Teresa attracts surfers of different levels of expertise. 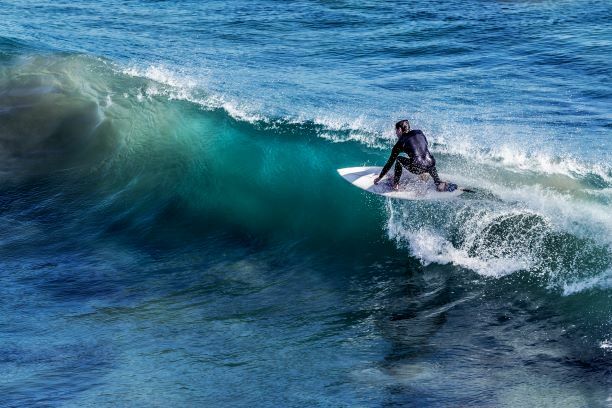 Beginners, intermediates and advance surfers alike can find a perfect breaking wave that caters to their level of experience. 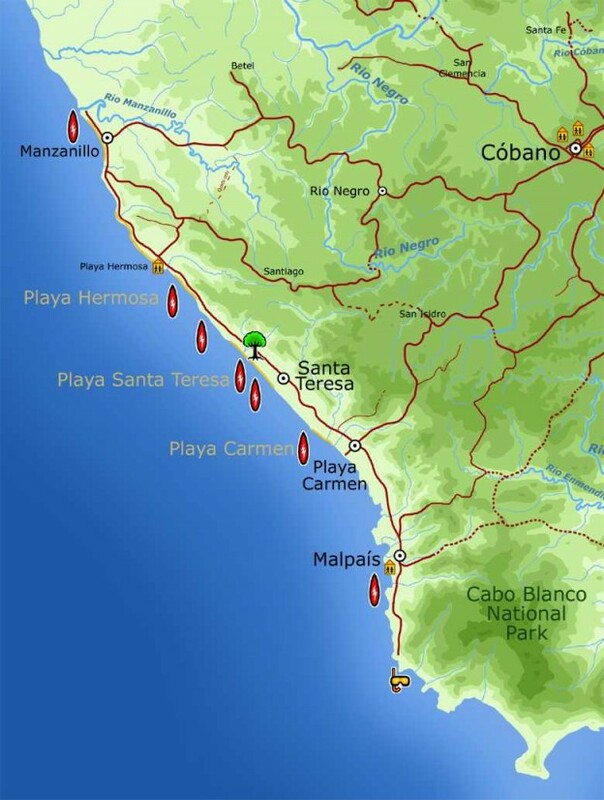 There are three main surf breaks in Santa Teresa and several more just south in Mal Pais. Playa Santa Teresa has a variety of beach breaks and point breaks. The waves here tend to be faster, hollower, and more powerful. Playa Santa Teresa is great for experienced surfers, especially when there is a good swell. Just north of Playa Santa Teresa is Playa Hermosa, which is a gentler wave and perfect for beginners, especially when the waves are on the smaller side. Then, at the very end, is Manzanillo, which is a reefy point break. 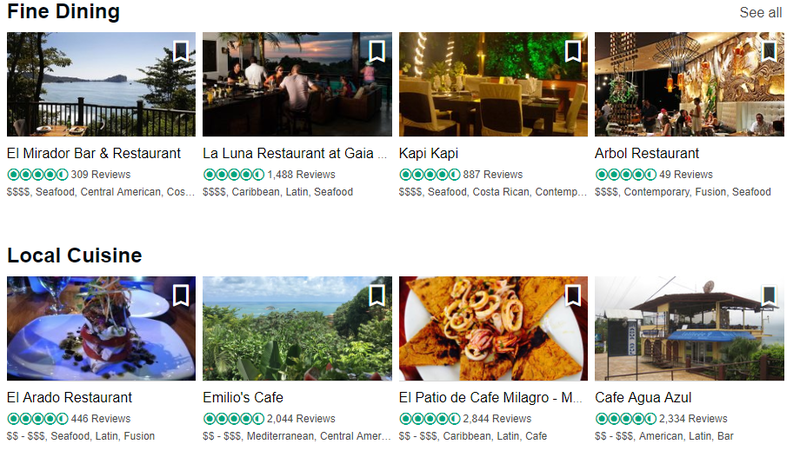 Santa Teresa hosts an impressive variety of dining options. There is quite literally something for every taste and budget. There are several traditional sodas, a few pizza and burger joints, organic and vegetarian-friendly cafés, and some fine-dining choices. Santa Teresa is a fun place to eat your way through. 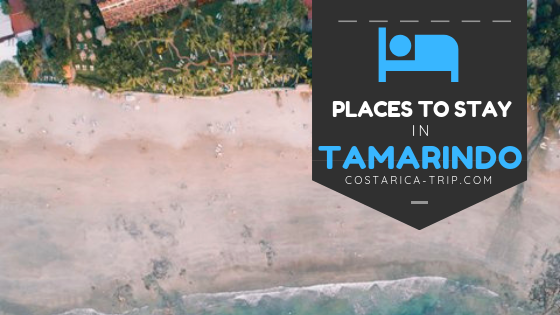 If you’re looking for the best places to stay i Tamarindo, you’ve come to the right place, here you will find a large selection of the best hotels, hostels, B&B and cabinas in Tamarindo, and of course with the best deals so you can compare and get the best rates for your vacations in Costa Rica. Tamarindo is a coastal town located on the Pacific side of Costa Rica, in the province of Guanacaste. Guanacaste is famous for its many surf spots, tourist hangouts and focus eco-tourism. Tamarindo is one of the major places for tourist to go on the Nicoya Peninsula. A little more than 30 years ago Tamarindo was home to around two-dozen Tico families. Then the classic surf film Endless Summer II put the town on the map, and it quickly burgeoned into a veritable southern California. 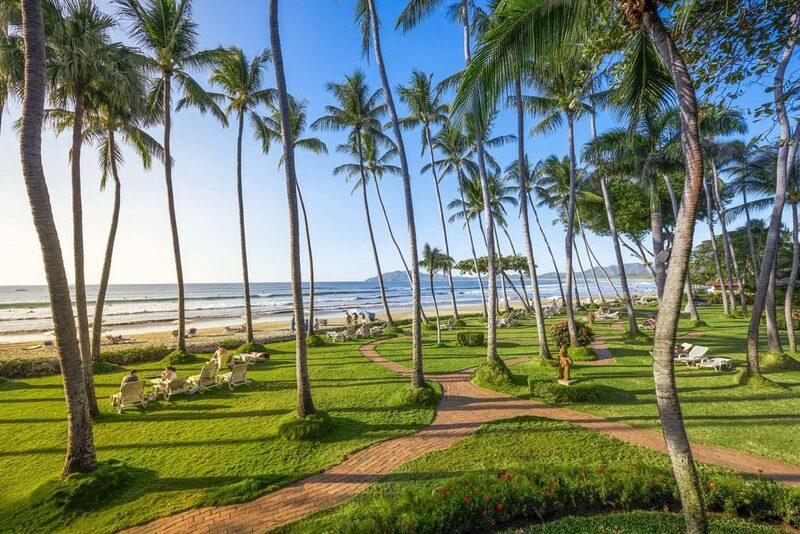 Nestled on the beach, this Tamarindo hotel is within a 15-minute walk of Tamarindo Beach and Grande Beach. Ventanas Beach and Avellana Beach are also within 12 min (20 km). 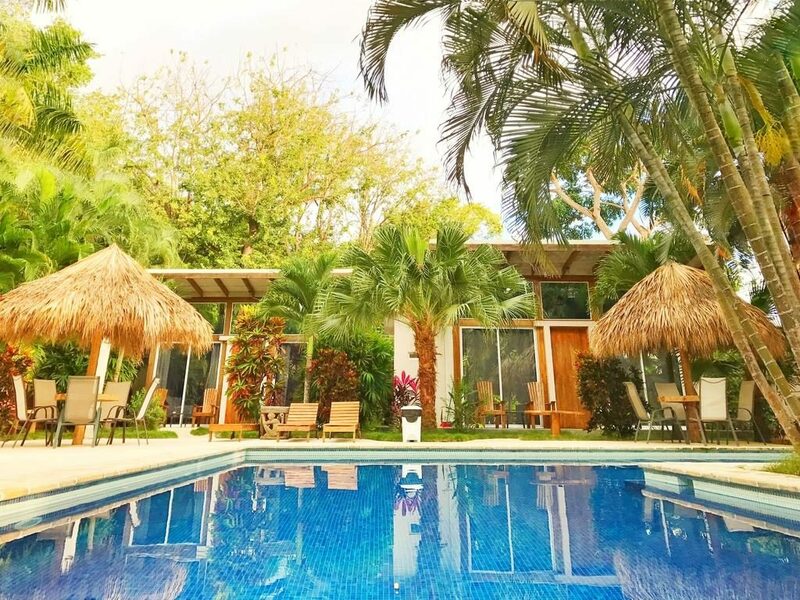 Located in front of the Tamarindo Beach, 2.5 min from the local airport, Cabinas Zullymar offers a tropical garden, free WiFi and a furnished terrace overlooking the garden. The apartments are fully equipped with a private kitchen and the bedroom has a double bed and private bathroom. 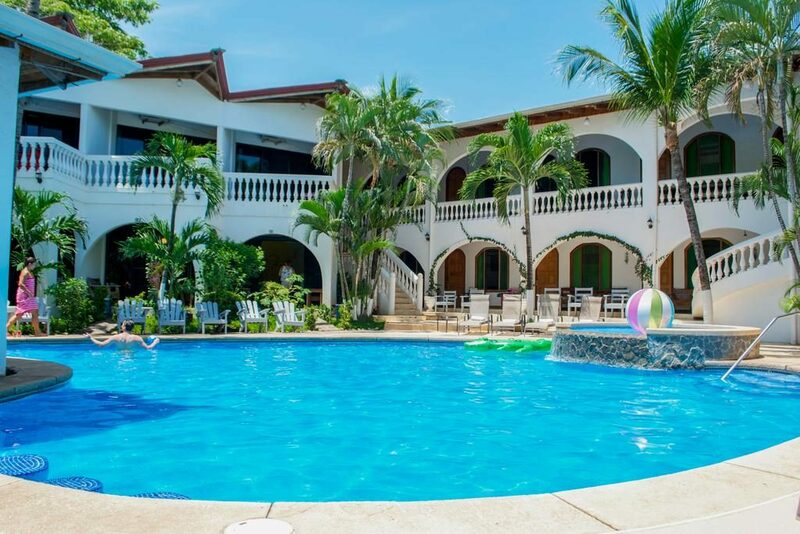 Located just across the road from Tamarindo Beach, Hotel Mar Rey offers an outdoor pool surrounded by tropical gardens. Each room features air conditioning, satellite TV and a balcony overlooking the pool.All rooms include a small dining area with a microwave, coffee maker and fridge. The private bathrooms have a bath or shower. 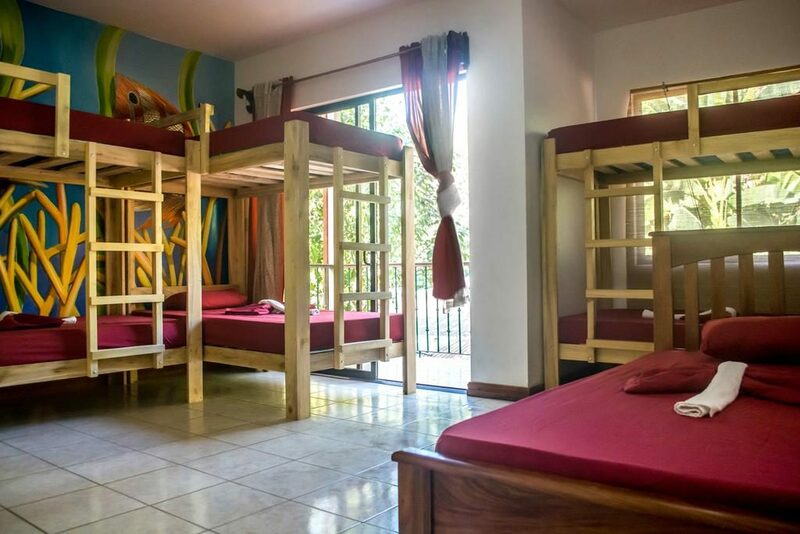 Offering a restaurant, Coral Reef Surf Hostel and Camp offers rooms with air conditioning and free WiFi. The dorms offer a private bathroom and the private rooms have a large shared bathroom. There is a full kitchen with a microwave, refrigerator and all guests can enjoy free coffee in the morning. 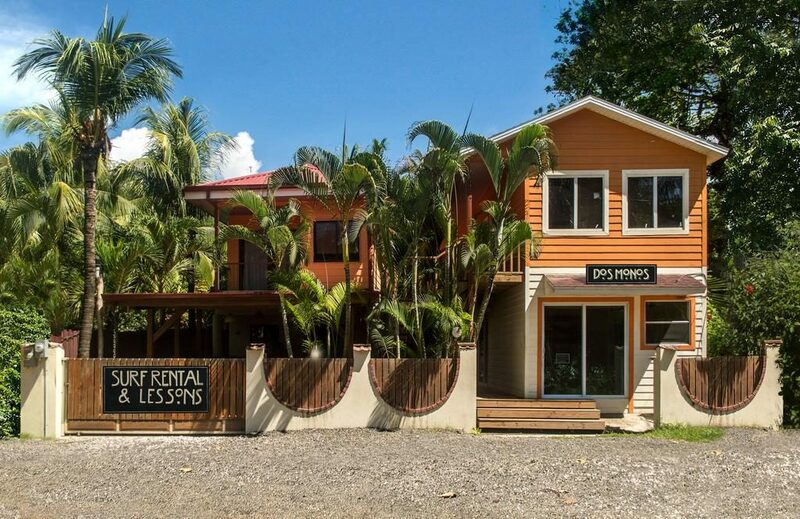 The hostel features a furnished patio, TV-corner, ping pong tables and barbecue facilities. There is also a surfboard storage space. Offering an outdoor pool, Ocho Artisan Bungalows offers seven luxurious bungalows, all of which come with one bed room with king-size bed, 2 Single beds – for 4 people , air condition,ceiling fan and large screen windows that allow views of surrounds from all corners of your room. The spacious Bungalow is size 183 m.² comes with Fully equipped kitchen,private bathroom with , and in door/outdoor shower. 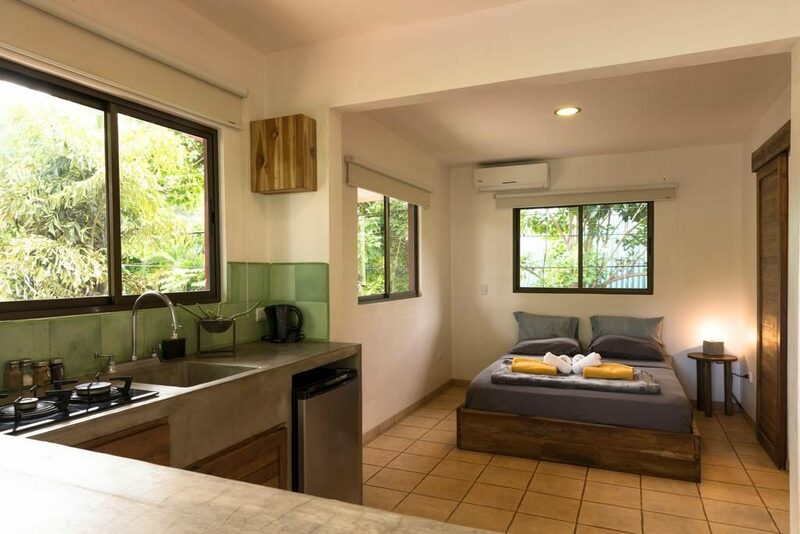 The Bungalows are Individual located on the beautiful beach in the best location, in the center of Tamarindo, close to the Restaurants, shops and supermarket. The guests outdoor area has a large swimming pool and a bar.